Let's admit it. The swampy mush of a dish looks like it's already been ravaged by someone who didn't quite know what they were meant to ravage and stupidly sat on the plate of food by mistake. 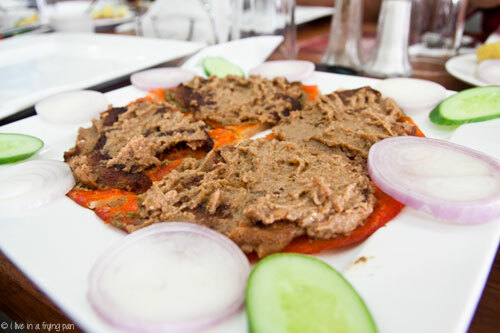 But in reality, that mush is actually a mildly spiced boneless mutton kabab – Galawati – smeared like a cheesy spread all over a startlingly orange bread called sheermal. The soft primal meatiness of the kabab just cuddles up against the sweet chewy milk bread, giving you a contrasting but perfectly balanced pair of flavours that quickly becomes the life of an otherwise mediocre meal. Or it was for me anyway. I don’t quite remember any orgasmic groans from the others on the table, but this dish was the only one at Ballimaran Dilli that I found truly, madly, deeply irresistible. Other than the Galawati over sheermal, I'd tell you about the other kabab options as well but...the rather starved-seeming kabab platter we ordered was demolished within minutes. There was barely anything left for those critical second tastings which help you decipher the flavours of what you've scarfed down on the first round of attack. I can proffer that the chicken kababs were appropriately smoky and charred, though the experience was totally marginalized because we were expecting a royal Awadhi platter (as royal as you can get for 27 dirhams, which come to think of it, is pretty royal in Karama.) Instead we were offered a mere suggestion of what that platter could be. An abstract concept. A faint brushstroke. A muffled whisper. A harsh letdown when you're famished. 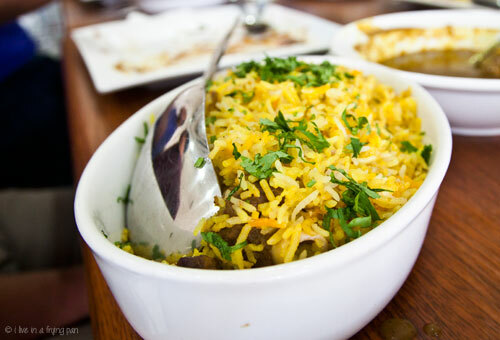 Ballimaran Dilli is a narrow cramped aisle of a restaurant that serves up a mix of Delhi and Lucknow (Awadhi) foods. It’s one of those super-tiny holes in Karama that you burrow into at noon time, order like a glutton, and stagger out of totally full and incapable of doing anything other than snuggling up under a blankie for an afternoon siesta. Should you have any hesitations about taking that afternoon nap, the Lucknowi kulchas and nihari will smack you right back into bed. 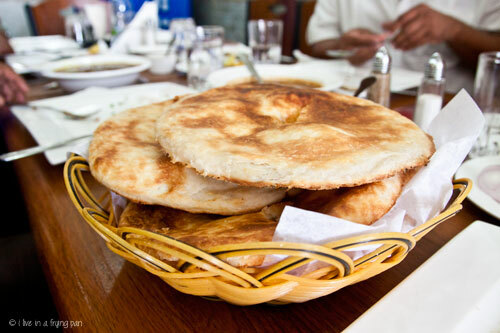 The Lucknowi kulchas are a totally different breed compared to the potato-stuffed Amritsar version at Kulcha King. These are intricately layered like the crunchy, buttery crust of a puff pastry—perfect with chai, perfect with curry, perfect to sedate you with their richness so that you have no choice but to drag your overstuffed and groggy self under the covers. We slamdunked the kulchas into nahari, a slow-cooked stew heavy with slippery-soft slivers of beef or mutton that is a favourite of both Delhi and Lucknow. Ballimaran does two versions—a spicy one from Delhi with an angry red gravy that I steered clear from, and another milder one with a muddy green-brown gravy that became the dipping pool for my crunchy kulchas. 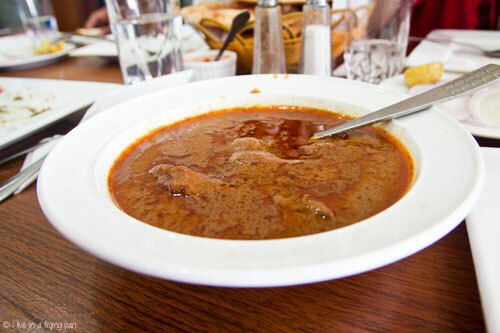 The nihari itself was rich in gravy-drenched mutton chunks and slow-extracted unctuous meaty juices, but somehow it didn’t blow me away (the beefy one at Delhi Restaurant in Naif has set a high bar). 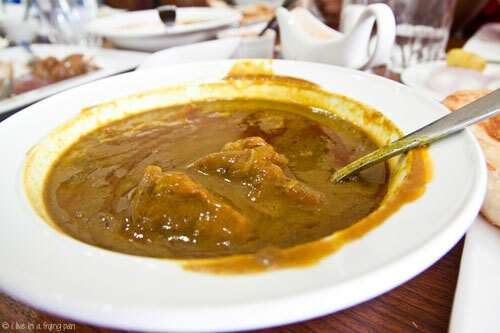 The positive side was that while many restaurants are guilty of unleashing a rig of oil into the nihari, or worse, dousing it with tubs of ‘garam masala’ that can leave you with a burning trail of discomfort down your chest and stomach for hours after the meal, Ballimaran’s version was relatively harmless. The Lucknowi Dum Biryani didn’t leave a lasting impression. 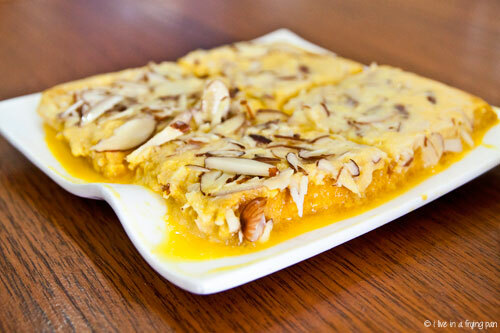 Nor did the Shahi Tukda, a royally-named dessert where deep-fried bread is drowned in creamy reduced milk throbbing with nuts and saffron. Back in Hyderabad, this dessert is comfort food at its naughtiest artery-clogging best, but Ballimaran had denied its Shahi Tukda that rich reduced milk pool which makes this dish both royal and childishly good. The disappointments don’t mean I won’t be back at the restaurant. I might, after I've eaten at the other 237 other restaurants I've been dying to try. But the day I’m back to order those kababs squished out like gooey toothpaste all over sunny sheermal triangles, the biryani, nihari and shahi tukda won’t make the order shortlist. The ones that might are the Bhuna Gosht, Lauki Chana Dal, Bun Kabab, Taftaan, Haleem and Dal Gosht. 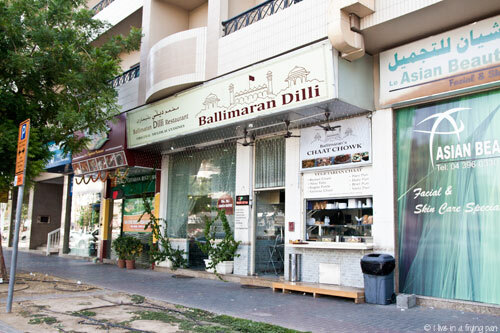 On the ominous note that even old areas like Karama are constantly prone to restaurant tectonics, let's hope that Ballimaran is still around when I come back for seconds. 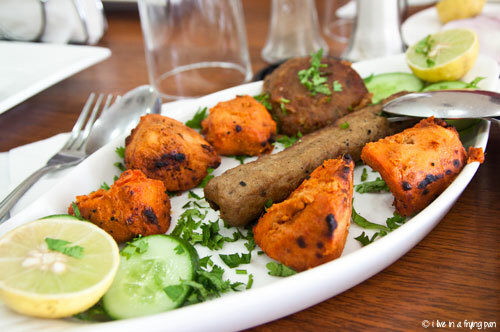 Melodious tip: The food is best enjoyed with old-time Indian ghazals playing in the background. If the restaurant randomly switches up the music for some modern-day riff-raff, politely beg them to switch it back to the magical oldies. There may be no Awadhi palace in the backdrop, but those sheermal kababs deserve at least that much. Behind Pizza Hut opposite Bur Juman, see my highly approximated pin-tack on Google maps. 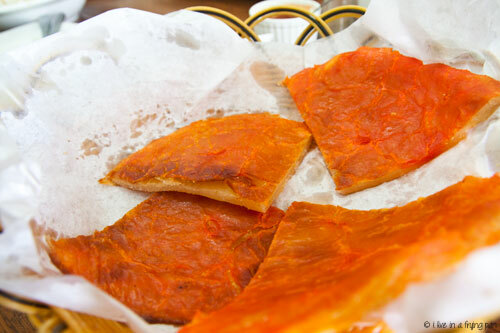 ← Older: NYC’s latest gift to Dubai: Cheesy grilled corn and beef-smacked Cubano sammies at Cafe Habana. 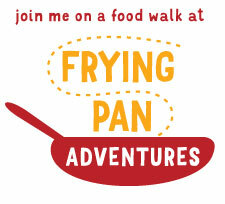 If you were looking for ways to sneak off of a self-imposed diet, let me help you. Your rhapsody left me releasing my belt by two notches.Already I feel full and ready to nap. Nice article, tempting though have to be careful with what one eats. 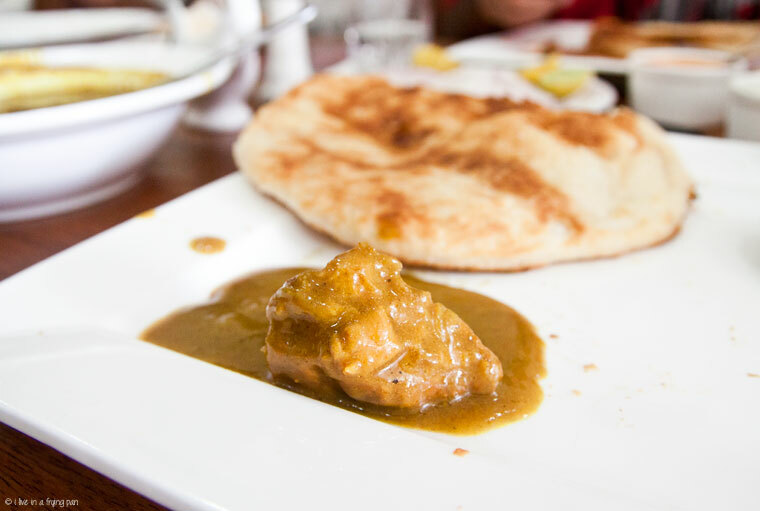 Love to try the Nihari and kulcha. they don’t know how to make kebabs, had two weeks back feel like eating mashed pulses / potatos with no meat at all. Yikes, sorry to hear that Mohammed. We had a very different experience, but that was ages ago. Sorry to hear that you’re experience was so poor! Try Sigdi, I’ve been there recently and it didn’t disappoint.